We hope you like our new look website - you'll find all your favourites products are still online, with some great new additions too! if you previously ordered from our old website, your details should already be registered on this new site. We've upgraded security, so you'll just need to set a password before you can log in to your account and start shopping. You'll need to enter the same email address used on our old site to access your details then select the 'forgotten password' to reset your password. Setting a password should take just a few seconds - then you can log in to your account and start shopping! Please take a moment to check all your delivery addresses and contact details are accurate before ordering, as we know some customers may have changed some details since first registering on our original site. Any problems? 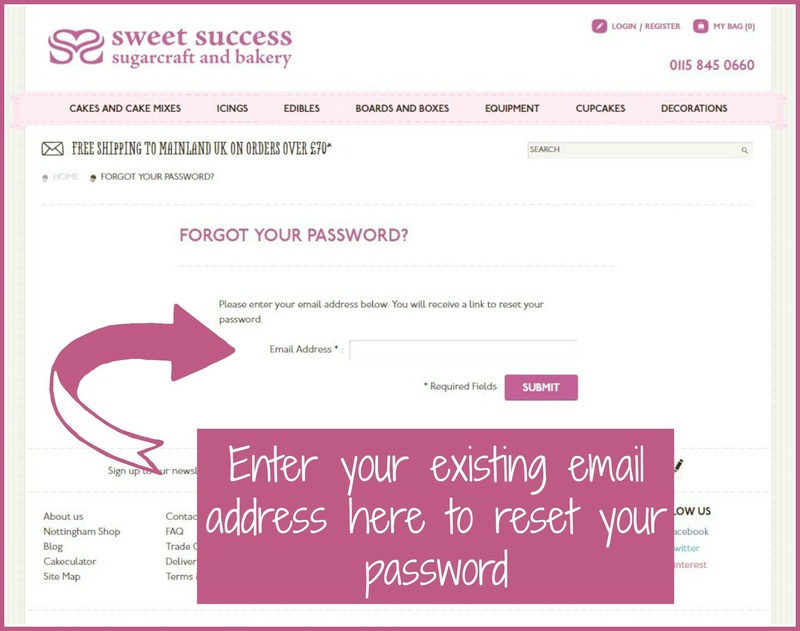 Email info@sweetsuccess.uk.com or use our contact form and we'll be happy to help!